This is a 4-class session for the ones who have a little experience or already took my “Intro” class in past. We’ll play Frame drum, Riq & Doumbek. $96 for all month.This is a 4-class session for the ones who have a little experience or already took my “Intro” class in past.We’ll play Frame drum, Riq & Doumbek. Intimate concert with our Master Instructors who are joined by Body Temple Instructors. Henna Crone is doing henna tattooing too! This is a 3 class session for the ones who have a little experience or already took my “Intro” class in past. much to learn and grow and all while we’re having a great time. This is a 4 class session for the ones who have a little experience or already took my “Intro” class in past. 6:30 – Bring food to share. Eat with friends, new and old! Sept 4, 11, 18/ 2012,Tues 7:30 to 9:00 pm in Santa Cruz, Ca. This class is for beginning drummers and for other musicians who would like to gain some experience and knowledge of different drums from middle east and N Africa. We’ll learn about the instrument’s cultural origins, the material it was made and the traditional craft and artwork. we’ll learn to be grounded, to hear ourselves, to listen to others and to create harmonious and fun rhythms. Feb 03/2012, UC Santa Cruz, Ca. We’ll learn focus on Middle Eastern/N. African style (Bring your own doumbek). Basic and healthy position, how to hold the drum, creating different sounds, rhythms, be ourselves and listen to others- we’ll play together in harmony and learn while having fun…there may even be some dancing. Desert Roots– Mugical (Music & Magic) Journey. 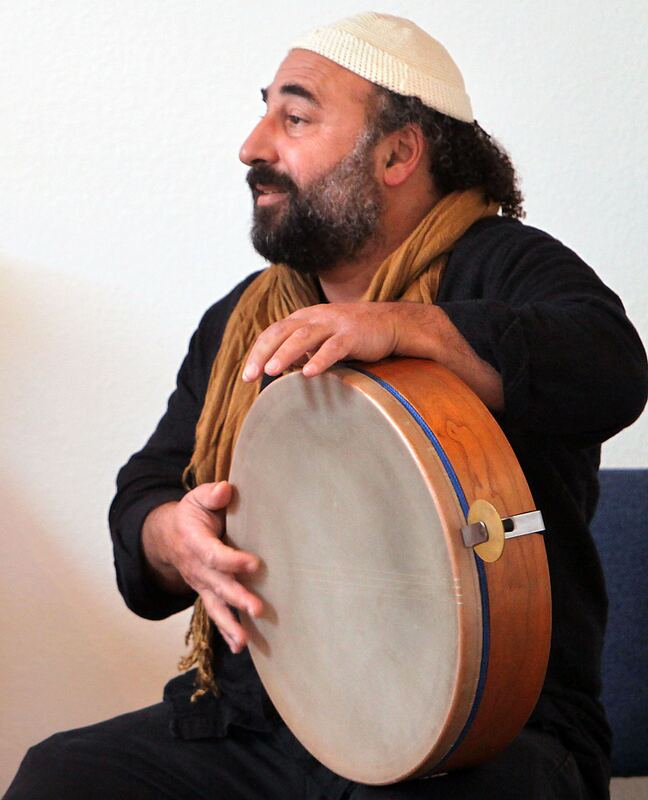 Master Percussionist Dror Sinai will teach students an introduction to the exciting, ancient, and ever-changing world of percussion from around the middle east. Participants will learn to create a variety of sounds, open themselves to the concepts of rhythm, find their own personal rhythms, and communicate musically. Dror Sinai is an international performer, educator, and artist. Dror has presented lectures, clinics, and workshops to diverse audiences including Universities, schools, community gatherings around the world www.drorsinai.com. Dror has been working for world peace as a way of life and has taught and performed on the Peace Boat and also at The Sacred Music Festival, Fez, Morocco in 2009 with The Yuval Ron ensemble. Dror loves to share his joy of music with all people. His expertise and his warm, joyful approach will help put music-lovers of every experience-level at ease, inspiring a path to musical expression. 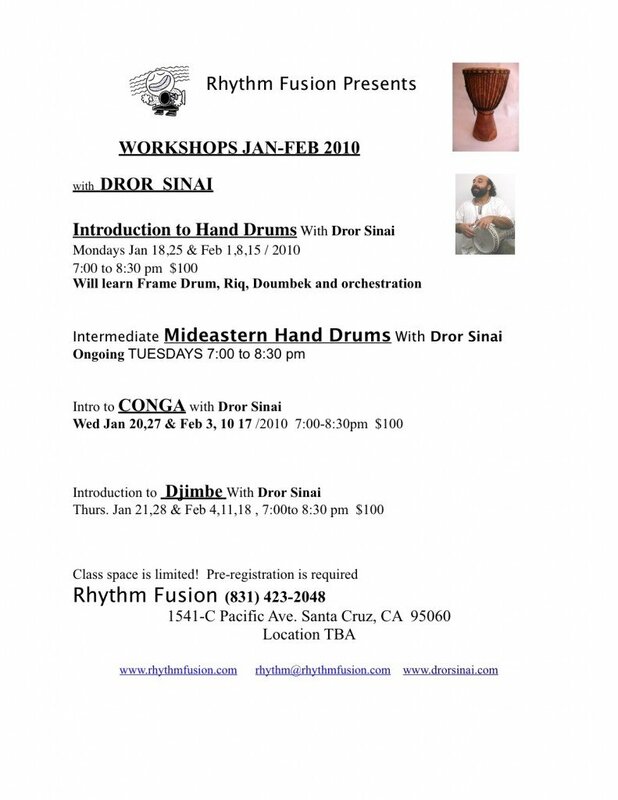 This class is for all drummers who has studied “Intro to hand Drums” with me in past or have experience playing middle eastern drums. We will play the frame drum (Tar or Def), Riq (Middle Eastern tambourine), Doumbek (Darbuka, Durbaky, Tabla). This class is for beginning drummers and for other musicians who would like to gain some experience and knowledge of different drums and percussion instruments from around the world. 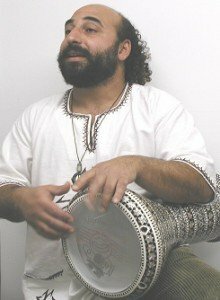 It will focus on positioning and basic rhythm techniques used in creating the sounds and rhythms on the frame drum (Tar or Def), Riq (Middle Eastern tambourine), Doumbek (Darbuka, Durbaky, Tabla), and various sound makers that we as a group will choose. 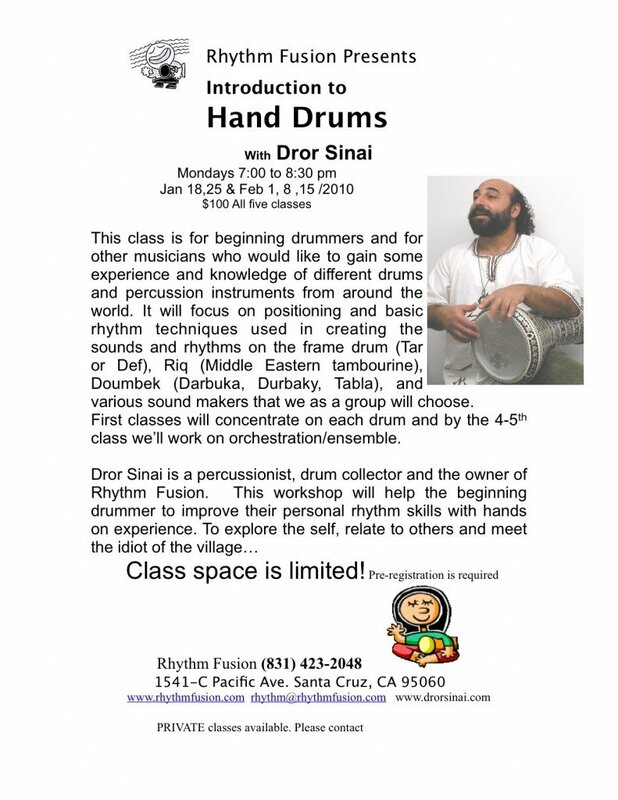 Each class will focus on each drum-Frame Drum, Riq, Doumbek. We’ll learn focus on Middle Eastern/N. African style. “Desert Roots”– Mugical (music & Magic) Journey. This class is for beginning drummers, Dancers and for other musicians who would like to gain some experience and knowledge of different drums and percussion instruments from around the world. 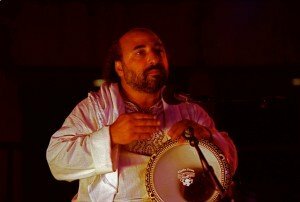 It will focus on positioning and basic rhythm techniques used in creating the sounds and rhythms on the frame drum (Tar or Def), Riq (Middle Eastern tambourine), Doumbek (Darbuka, Durbaky, Tabla), and various sound makers that we as a group will choose. First classes will concentrate on each drum and by the 4-5th class we’ll work on orchestration/ensemble. Now scheduling. Please see a list of lectures, clinics, workshops, and performances. Contact Rhythm Fusion for fees and available dates. Dror’s most popular lecture/performance, this is an introduction to the exciting, ancient, and ever-changing world of percussion from around the world. Various instruments are introduced along with their cultural origins, uses, and contexts. To name few: Frame drums of the Middle East, Bendir of Morocco, Riq, Doumbek, and Tabla of Egypt, Djembe of West Africa, Shakers, Rattles… Also covered are the origins, materials from which the instruments are made, art and culture, and demonstrations of traditional rhythms & songs. This workshop can be taught as a series or each drum can be explored on its own. The instruments include Frame Drum, Riq (Egyptian Tambourine), Doumbek (Middle-Eastern Hand Drum), Djembe (West African Drum), and Shakeree (Gourd). For each type of drum, Dror explores each instruments’ geographic and cultural origins, comparison of materials and shapes, care and tuning, and the most natural (ergonomic) body and hand positioning for healthy playing. Participants will learn to create a variety of sounds, open themselves to the concepts of rhythm, find their own personal rhythms, and communicate with others. Perfect for those who want to have some direction and guidance in learning to play a variety of hand drums, or those who want to fine-tune their playing and communicate musically. Also, teaching privately each of these instruments and more: Frame drums, riq, doumbek, shakere, bongo, conga, cajon. In this one-of-a-kind gathering, the amazing variety of body and voice expressions are explored. Using natural rhythm, pace, voice, body, and a celebration of the simple yet profound joy of music, the group is led in a dynamic symphony of movement, percussive sounds, and pulse of life. This gathering shows that one does not have to be “schooled” to participate in celebrating the excitement of group music and fun-making…much fun! There are many possible variations on this theme, but what ties them all together is the aspect of participation. Dror creates an inviting, open, and warm atmosphere for those who wish to explore and experience percussive music in a group setting. This is perfect for team building; groups wanting to connect deeply through music, share a unique and joyful experience, or simply get to know each other through percussion. Dror facilitates the groups’ cohesion and journey and is an inspirational, warm leader. Dror, who has performed internationally and with many world-renowned artists, is also available for special performances, either as a solo artist or as the coordinator of an ensemble. He can put together a variety of groups: Middle Eastern, Moroccan, Caribbean, Latin, West African, Samba, and more. Please contact us to inquire about available dates. ***Pulse Santa Cruz- ongoing doumbek classes, Sun 5pm.